Nav is a business credit and financing app that collates various business loan and credit card options in one list so that users can find the best match for their needs. It also helps users build their credit rating in order to increase their chances of getting approved for financing. In this article, we cover user reviews and pricing. Ready to get started with Nav? Sign up for free. Users who gave Nav a positive review said that its free app provides helpful tools for users to increase their credit scores. Others appreciate that multiple financing options are presented on one page. One user who gave Nav a positive review on Trustpilot like that it provides plenty of free tools to help him rebuild his credit score. He added that its customer support team is very responsive and friendly, which is important to finance novices like him. As of the date this article was written (01/16/19), there are no up-to-date reviews of Nav online. If you are a past or current Nav customer, leave a review to help other business owners who are deciding whether or not to use the software. Nav offers a free plan and a paid subscription plan: Premium ($24.99/month). The main differences between the plans include a $1 million personal identity theft insurance protection, two business credit scores from Dun & Bradstreet and Experian, and two personal credit scores from TransUnion and Experian. Ready to get started with Nav? Sign up for free. 8 Best Alternative Business Loans 2019 — Alternative business loans offer more flexible credit requirements, easier applications, and quicker access to funds than traditional bank loans. In this guide, we compared different lenders and selected the best eight in terms of their time in business, minimum credit score requirement, turnaround time, and cost of capital. What does Nav’s free Standard plan include? Nav’s free Standard plan includes a personal credit score and a summary report from Experian, business letter grades and reports from Dun & Bradstreet and Experian, insights for all three reports, personalized financing matches, tools to build business credit, and 24/7 alerts and monitoring. What types of financing options does Nav present to its users? Nav provides information on available lines of credit, startup funds, and credit cards based on the user’s business and credit profile. 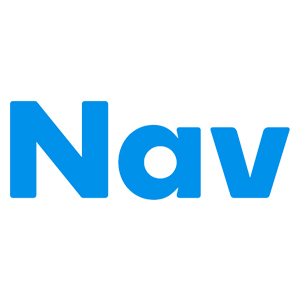 Not sure if Nav is the right fit for you? Read our reviews of all top lenders or check out one of these three Nav competitors.